WASHINGTON – With a steady, practiced motion so natural it was hard to imagine he learned it 70 years ago, Jim Mende raised his right arm slowly before snapping it into a crisp salute against the bill of his ball cap. 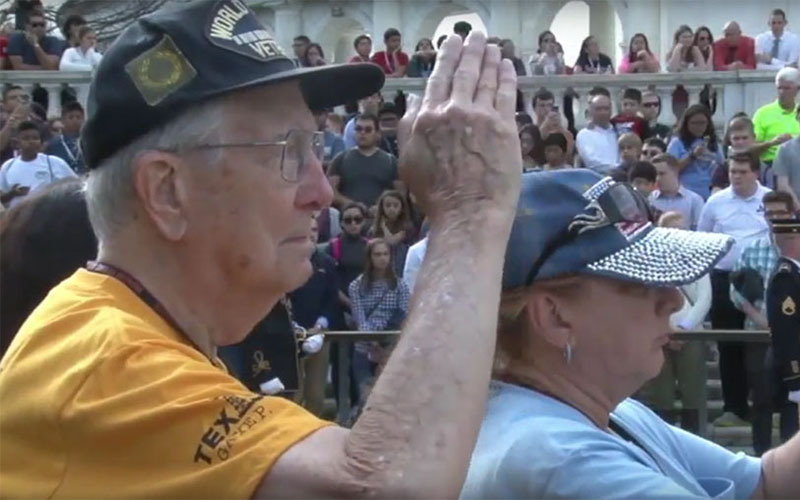 The Sun City West resident was saluting the changing of the guard Thursday at the Tomb of the Unknown Soldier in Arlington National Cemetery. 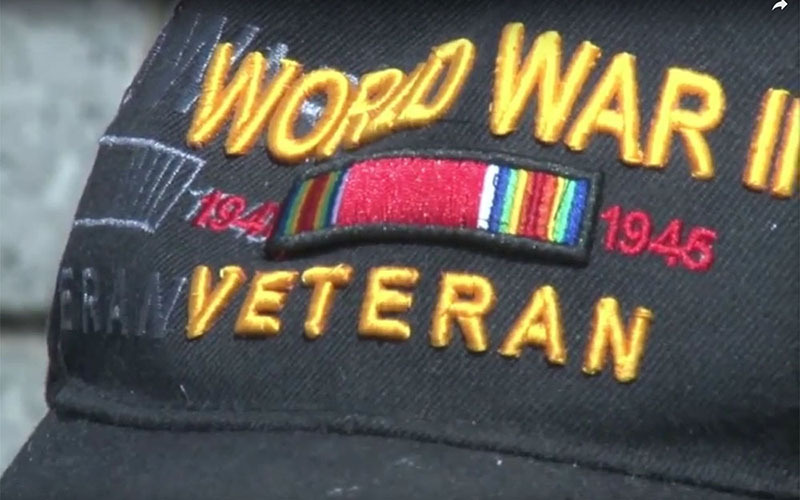 It was just one stop in an emotional two days of Washington visits for the Honor Flight Arizona group of veterans Mende was traveling with. 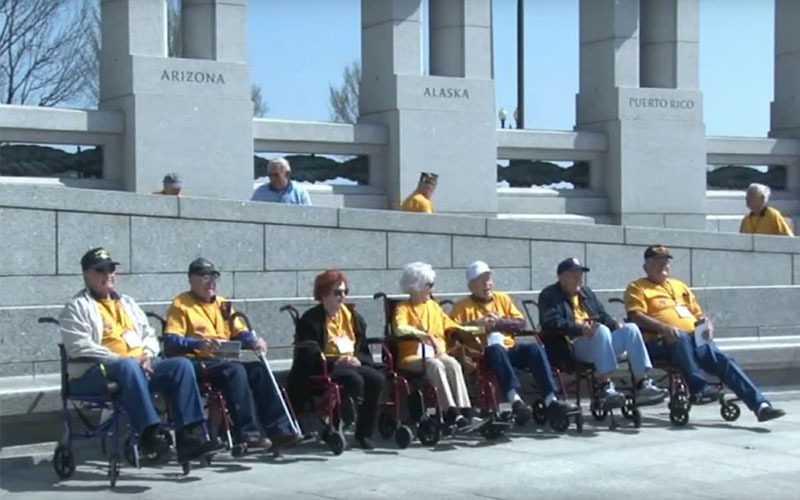 Honor Flight Arizona is part of the national Honor Flight Network, a private, nonprofit group that works to bring World War II and Korean War veterans to Washington to see the memorials that the nation has built in their honor. Officials said the Arizona group has brought 1,360 veterans to Washington since its first flight in 2009. This week’s visit, the first in 2016, included stops at Arlington, the U.S. Naval Academy and the Korean War Veterans Memorial, among others. One of the highlights was the group’s visit to the World War II Memorial, a massive colonnaded granite-and-bronze monument with pools and fountains, sitting halfway between the Washington Monument and the Lincoln Memorial on the National Mall. “This memorial, there’s a lot of sayings engraved that are so true that they should be publicized to the young people today,” said Mende, who served as a warehouse foreman in a signal company in the South Pacific during the war. The visit was a time for the 26 veterans in this group to reflect and to remember their service. “It was fun but I was glad to get home, then I got home and nothing was the same so then I joined the Army,” said Calvin “C.J.” McMickens, a Tonto Basin resident who did a tour in the Navy before switching branches. 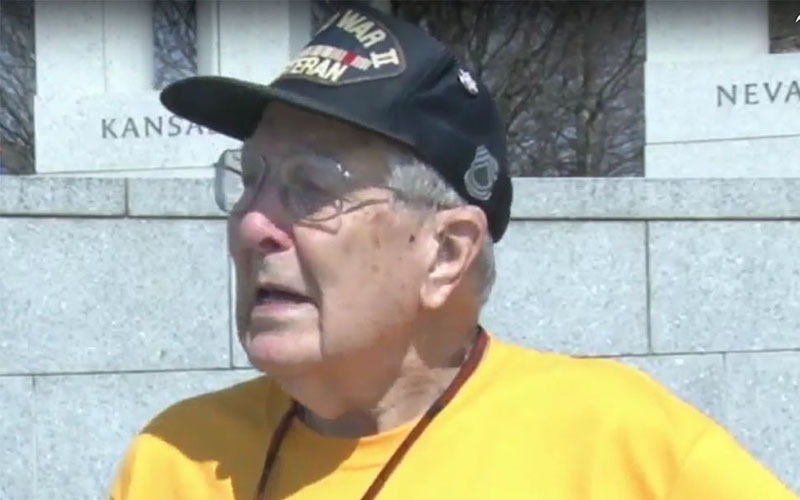 The veterans, in bright yellow Honor Flight T-shirts, and many wearing baseball caps identifying their service, were also recognized by other tourists. But some in the later generations still remembered.